Looking for a more meaningful career? We are always on the lookout for talented and passionate people to join us in making a difference to the lives of children around the world. Join us in dramatically changing the world for children. Whatever role you take on, whatever your skills or specialism, whether you’re in our London based head office, one of our regional offices throughout the UK, or working in Emergency Response this is your chance to make a difference to the lives of children around the world. Browse and apply for our jobs and internship opportunities. Save the Children works in more than 120 countries. We save children’s lives. We fight for their rights. We help them fulfill their potential. Our values guide everything we do. Find out more. Opportunities for a life-changing work arise all the time. To make sure you don't miss out register for job alerts. Save the Children UK is aware of fraudulent communications being made via email or originating from online job boards and advertising jobs or informing recipients that they are progressing through a recruitment process with Save the Children UK. The schemes may communicate with recipients regarding a particular position with Save the Children UK, and may request that recipients provide additional information about themselves, including personal and/or banking information, and may request the payment of fees or submission of test results. Such fraudulent correspondence may appear legitimate: it may even feature a Save the Children UK logo, appear to originate from an official-looking email address or web site or it may be sent by individuals purporting to represent Save the Children UK or an entity which includes the words Save the Children in its name. These fraudulent schemes deliberately mislead individuals with the purpose of extracting money and/or personal information. 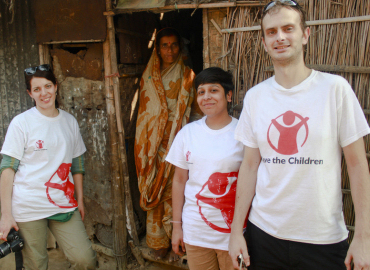 Save the Children UK advertises its employment opportunities on the careers pages of its website or on our official LinkedIn profile page, as well as some other sites (all of which link back to our own careers pages). Save the Children UK on occasion utilises other bona fide and established media, newspapers and online job boards to disseminate its vacancies. Please note that Save the Children UK does not charge a fee at any stage of the recruitment process (application, interview, meeting, travelling, processing, training or any other fees). Beware if an offer of employment looks too good to be true. Never divulge personal and banking information or send money if you are unsure of the authenticity of an email or other communication in the name of Save the Children UK. If you are in doubt, please contact us at careers@savethechildren.org.uk for confirmation.